There are a number of different things on your computer that contributes to its overall health; many of these things can lead to deteriorating system performances and random crashing. Thus, it’s very important that you regularly maintain your computer to ensure it operates at full capacity without the random crashing and prevent computer from crashing. That said, the reality is that the things that cause your system to crash are really not as bad as you think they are. Unless your system suffers a hard drive crash or hardware failure, the likelihood is that all your data will remain intact. To follow are a number of things that you should be cognizant of when maintaining your system. One clear sign of a computer reaching its last legs is random data corruption issues. Files that you were once able to open, no longer open. Such incidences may be accompanied by an error message. First, boot into your computer with an administrative user profile. 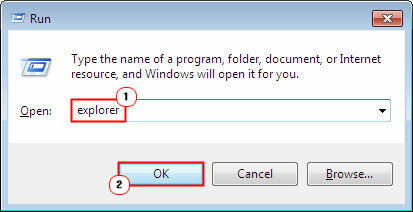 Then press Windows Key + R, to open the Run Command Box, and type Explorer into it and click on OK. When Windows Explorer loads up, right click on your Primary (C:) Drive and select Properties. This will open up a C:\ Drive Properties applet; from here, click on the Tools Tab, and then click on Check Now, under Error-checking. 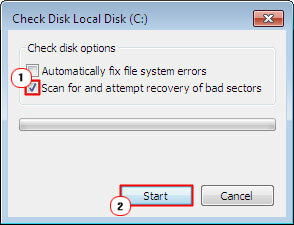 A small Check Disk box will pop up, tick the box next to Scan for and attempt recovery of bad sectors then click on Start. Note: The computer will notify you that the current disk is in use and that it’s unable to carry out the scan. It will then ask you whether you would like to schedule a scan on the next system restart, click on Yes, to confirm, and then restart your computer. 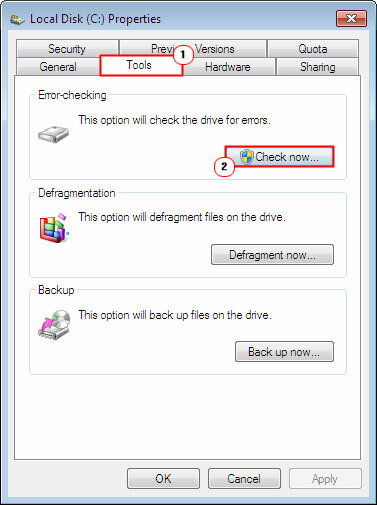 By running the defragmenter tool, you are telling the operating system to reorganize the data on the hard drive to make it more accessible, this leads to an increase in system performance and prevents freezing and random crashing. 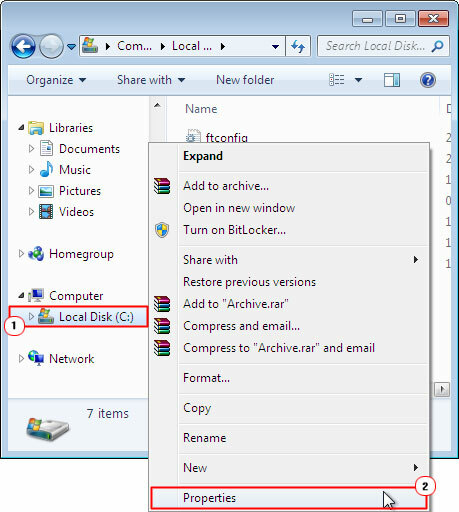 First, boot into your computer system with the administrative profile. Then press Windows Key + R, which will open the Run Command Box, then type dfrgui and click on OK. Note: for Windows XP users, type dfrg.msc. 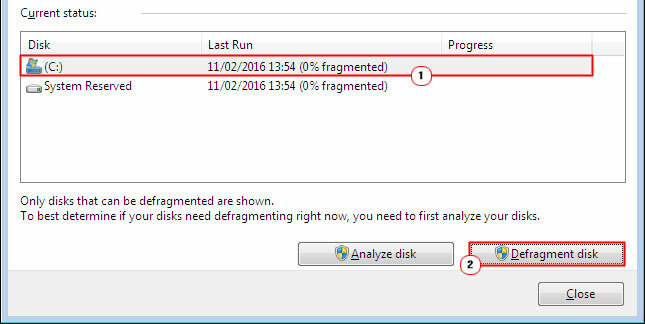 When Disk Defragmenter loads up, click on one of your Drives, and then click on Defragment. Let’s get one thing straight, the vast majority of system crashing is due to random software-related issues. However, for best practice purposes, you should never rule out a potential hardware fault, which is why I choose to emphasis this possibility. If, when you turn your computer on, nothing happens, the fans inside the computer don’t turn on; neither do the case lights, then that could mean one of two things. Either your plug has blown a fuse or one or more of your hardware components are damaged (likely the power supply unit). The positive is that it’s unlikely that you will have lost any personal data, although you will need to seek the help of a professional in order to properly fix it, assuming you lack the expertise yourself. However, if the computer does turn on, but nothing appears on the screen or maybe you’re presented with a BIOS error message, then the fault is likely due to the Ram, processor or motherboard. Lastly, if when using your computer it makes a clicking sound or some other unusual sound, then it’s very likely that your hard disk drive is damaged. Hard drive failure is imminent, and thus, you should consider purchasing a new one, and copy the data from the failing drive to the new one. The process is fairly simple, providing you are able to install the drive, if so, then it’s simply a matter of downloading and using the appropriate software. Sluggish system performance, from launching applications to watching movies online and playing video games, are typically the accumulative effect of having too much stuff installed on your system. If and when you do cross that threshold, system performance can begin to deteriorate quite rapidly. Removing unneeded or unwanted programs does usually help, however in more serve situations; you may be forced to reinstall Windows.